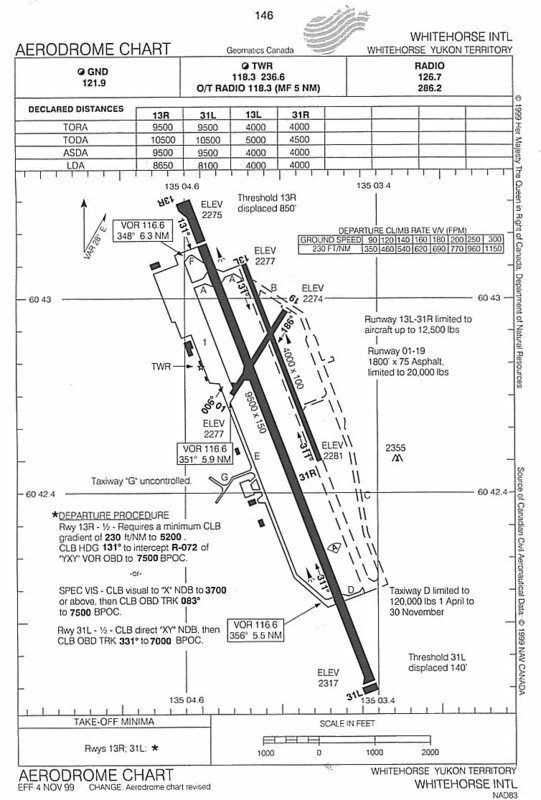 Aerodrome facility diagram - August 2004. 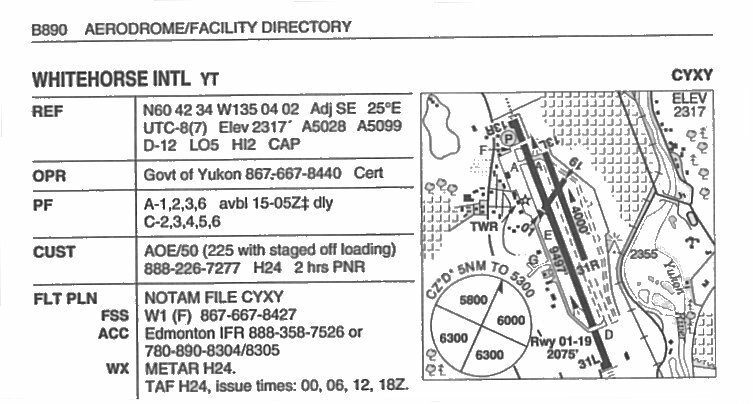 Aerodrome chart for Whitehorse - August 2004. 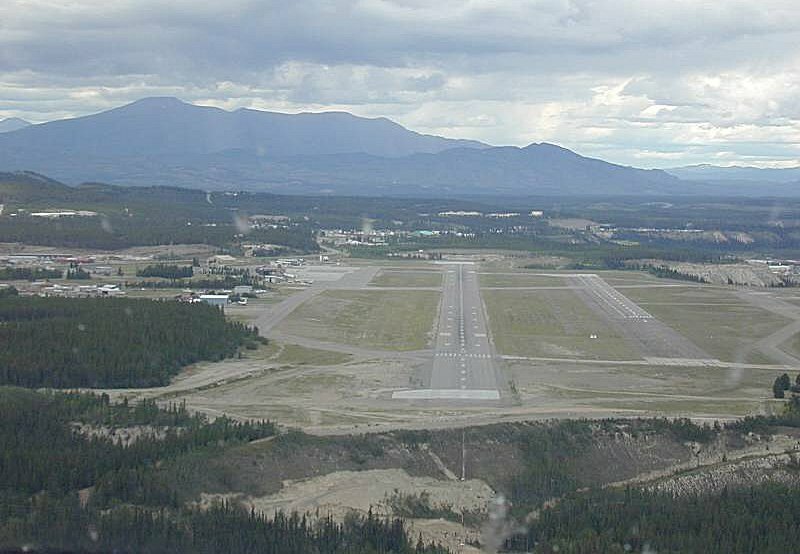 On finalapproach to runway 31L at Whitehorse - June 2004. 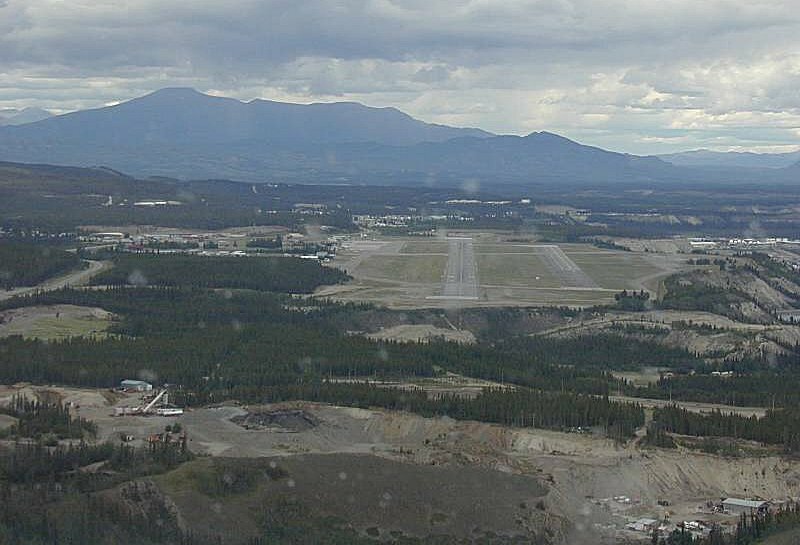 On final approach to runway 31L at Whitehorse - June 2004. 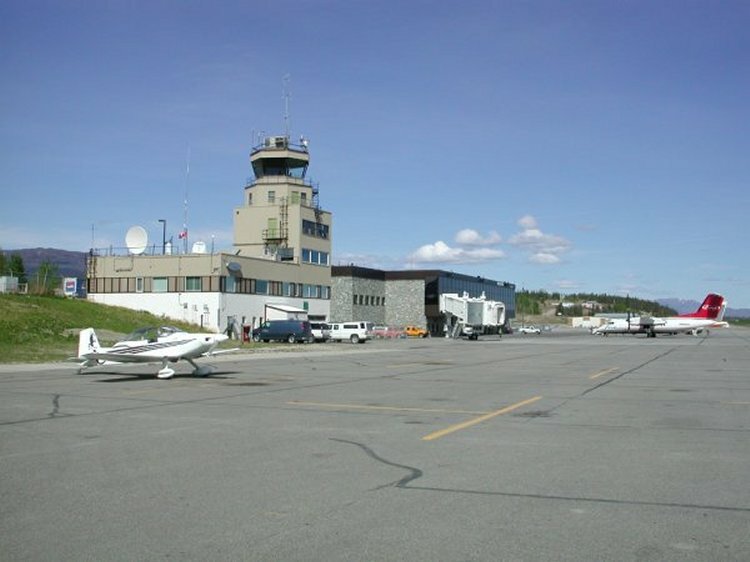 The ramp and the control tower at Whitehorse - June 2004. 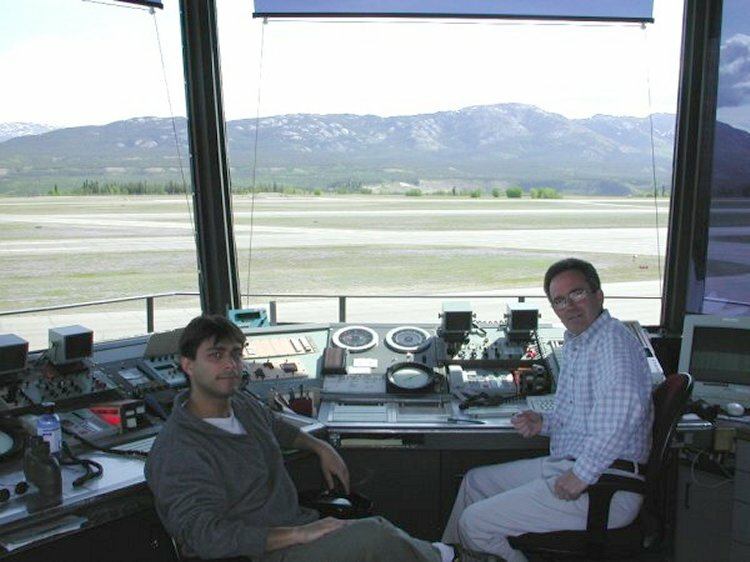 Unidentified Air Traffic Control personnel in the Whitehorse control tower - June 2004.